Gourmet hybrid pooches are all the rage, but here's one you may not have heard of yet. 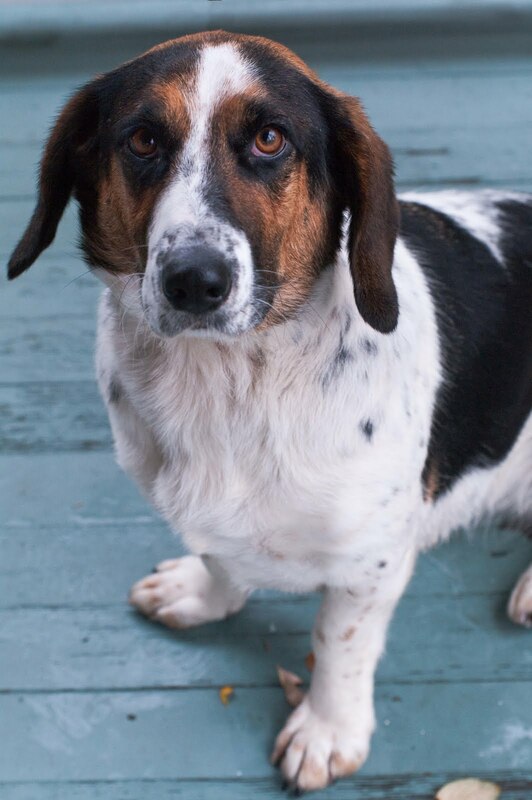 Bassett Hound crossed with Labrador Retriever. Aesthetically, the appeal isn't immediately obvious. With a full-size head and stubby, short legs, the dog has the look of a canine built from spare parts. But, it's a look that grows on you, especially if you spend any time with this sweet-tempered, friendly girl. Lucky her, she is staying with my friend Ann until she can find a forever home. For more details about how to adopt a rescue dog like "Little Girl" here, check out petfinder.com or happydogsofnewengland.org. Awwww, what a sweet face! I hope this li'l cutie finds a great home!